Posted on July 9, 2014 by Kelsey H.
I’m sure many other bloggers-along with myself- have read The Catcher in the Rye in our English classes. 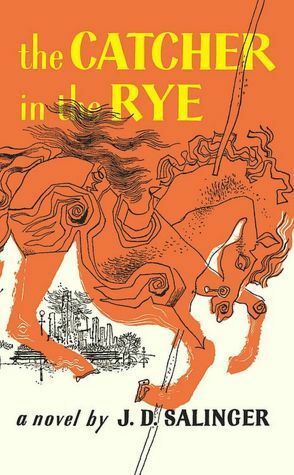 The Catcher in the Rye is the story of Holden Caulfield- a lost, confused, and depressed teenager who struggles to find hope after a traumatic experience. Holden believes that he presents himself as confident and “suave,” but instead the reader sees his insecurities. Although this book has been banned from public schools previously for its “adult” content, I found that many people have enjoyed reading it. First, I’ll mention my favorite things about this book. I love the unique writing style that Salinger gives Holden. It’s easy for today’s teens to read this book that was written in the 1950s because of Holden’s slang and habits. (Not to mention it was the perfect book to read after Dickens’ A Tale of Two Cities! That’s some language to decipher 😉 My favorite character, however, is Holden’s younger sister Phoebe. Even though she is introduced late in the novel, the reader can see that she has a special place in Holden’s heart. She is around ten years old, intelligent, creative, and independent. She also acts as Holden’s mother since their own mother becomes a nervous wreck after the terrible event. I just love reading the parts with Holden and Phoebe because his character changes completely and you can tell that he truly loves and wants to protect his little sister. Some parts of the book are definitely mature because Holden falls into bad habits when in a state of depression, but I do think that these situations contribute to the story. This book deals with many issues including: depression, suicide, loneliness, and phonies. Holden constantly tells the reader how much he hates phonies (people who act a certain way to get what they want or to please others) and yet as the story progresses he too tells little lies and exaggerates to build up his character. All in all, I recommend this book for high schoolers (as this is a mature read) because it makes you look at life in a new perspective. Salinger’s book steps outside the box and causes you to think about yourself and others, have more respect for people, and accept others’ differences from a popular society. Posted on April 24, 2014 by Kelsey H.
Now I’m sure that many sophomores out there in the blogosphere are familiar with a certain book: A Tale of Two Cities. The author of this book, Charles Dickens, is renowned as one of the most brilliant writers of all time. Connecting back to my previous blog, I traveled to London this past summer and visited many historical sites. 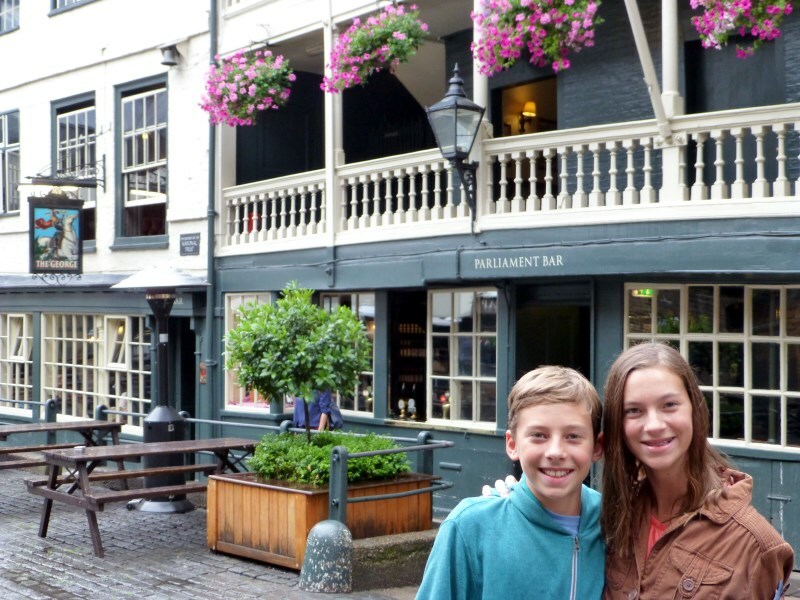 One of the places I ate at was the George Inn, and I learned while I was in England that Charles Dickens and William Shakespeare were known to frequent the pub and write their stories over meals. I thought that it was fascinating to be able to stand in the same building as two famous writers from about 200 years earlier. When I heard of a movie focusing on the secrets of Dickens’ life, I immediately became intrigued. I think that it would be amazing to have a famous actor/actress act out your life story in a movie! Ralph Fiennes, a well-established Hollywood actor, plays the part of both director and Charles Dickens. One of the main reasons why I think it would be interesting to see the movie is to get a better understanding of who Charles Dickens was, and how that took shape in his writing. Personally, I am finding myself enjoying his novel, A Tale of Two Cities, and although my English class has not yet finished the story, I like the plot of the story and how Dickens shares his opinion of the French Revolution of 1791 with his readers. I think Charles Dickens was a very talented author of his time period, and his legend will live on through this new movie that reveals the secrets and tells accounts of his life. Posted on January 16, 2014 by Kelsey H.
I recently saw the Saving Mr. Banks movie and I thought it was fascinating! I feel that what this movie unveils is unprecedented in the multimedia world because it actually takes you into the making of the movie. However, the movie was really more about the author of Mary Poppins, and her struggles in maintaining control over her story in the film making process. I read the original Mary Poppins this past summer, and I was shocked at how different the book is from the Julie Andrew’s nanny figure we all know. First of all, how does one put music to a book? That is amazing that the Walt Disney musicians could actually make the book into a musical‼ In the movie, P.L. Travers (played in this film by Emma Thompson) explicitly states no singing or dancing in her movie. But by the end of the process, well… let’s just say that she was inspired. You’ll have to watch the movie to see what happens! The most important part of Mary Poppins is not the Mary Poppins character, however- it’s Mr. Banks, the father of the Banks children whom Mrs. Poppins watches over. The movie really went into the depth of Mrs. Travers’ childhood inspiration. Throughout the movie, Mrs. Travers has flashbacks to her childhood and it is revealed to the viewer the hardships her family underwent. In the current time of the movie- around the 1960s- it was very common for authors to take a pen name, especially ones that did not reveal their gender. P.L. Travers adopted her father’s name as her own because it is obvious that she greatly loved and respected him. During a few flashbacks, her father tells her to never stop dreaming despite her mother’s practicality. Walt Disney (Tom Hanks) tries desperately to understand why this woman is so hard to please in the movie room-all of their suggestions fail in the eyes of Mrs. Travers. Towards the end of the movie, Walt shows up at Mrs. Travers’ apartment in England, where he shows her that Mary Poppins is family to him also. 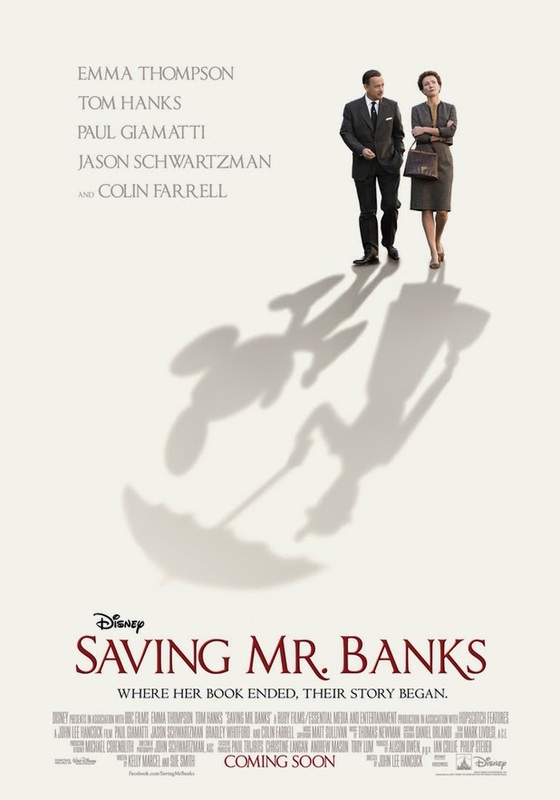 He finally connects Mrs. Travers’ father to Mr. Banks and understands why she was having such trouble with their portrayal of him. I love how Emma Thompson portrays this abrupt, posh English author. She does such a phenomenal job at showing the transition from this uptight woman into a fun, emotional lady at the end of the movie. I can easily connect P.L. Travers to Mary Poppins, because they are both proper, British, and inwardly kind. I really enjoyed the movie and the “behind the scenes” of one of the most classic stories of all time. Posted on December 23, 2013 by Kelsey H.
Ok, can I first say what fun reads all of these books are?! I came across the film version of Confessions of a Shopaholic during an airplane flight to Europe this summer. It was one of the free movies listed and though it was extremely cheesy, I thoroughly enjoyed it! That’s when I decided to try reading the book. After I finished it and loved it, I found out there was a whole series‼ My book taste is kind of all over the place because I love The Hunger Games, for example, but then I also love what I call “fluffy” reads like this series (that means that the book is about some girly subject like shopping! and dramatizes little conflicts like addictions to shopping!) Sophie truly has a gift for portraying spoiled, rich New York girls as protagonists. I don’t know what it is about Kinsella’s writing style that makes her books so enjoyable! Whether it’s the comical events that a grown-up woman bring upon herself like hiding her shopping bills from her boyfriend or stuffing her face with carrots to prove her little girl eats them! 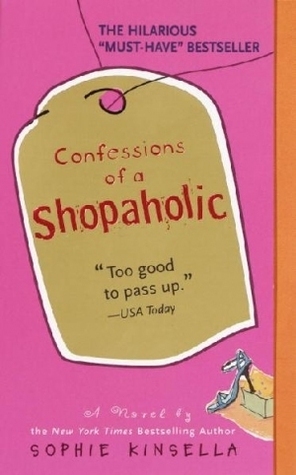 I laugh every page at the obscurity of Rebecca (better known as Becky) Bloomwood Brandon’s shopping addiction and her way of “dealing” with the issues she causes. While Becky is irresponsible and constantly in denial with her obsession for shopping, her boyfriend/fiancé/husband is cool, calm, and collected. He is responsible, hardworking, and obviously very forgiving if he’s willing to live with a girl who breaks his credit card every day! I think Luke Brandon is adorable, but a little stupid. I mean, who wants to have to deal with Becky? She wastes money, hides bills from you, and ignores your wishes (such as buying giant wooden giraffes while on their honeymoon.) However, she’s just one of those people that you have to still love and read more about despite her serious lack of self control. I love picturing the fun and crazy hubbub of the New York life, and learning about how irresponsible Becky is makes me feel like a seriously good girl‼ And honestly, how cute are Luke and Becky?! They’re perfect for each other, so I forgive them! Every girl needs a Luke in their life…someday that is! To sum up, Kinsella transports you to both England and New York, and gives you such a fun read…especially during the holiday break! I definitely give a thumbs-up to all of her books, and I can’t wait to read more books from her! Sophie is such a young and fresh author who understands what girly girls need in their book lists‼ I recommend this series to anyone who enjoys novels about shopping, fashion, and fun! Post a comment telling me what you think about this series! Happy Holidays to all! 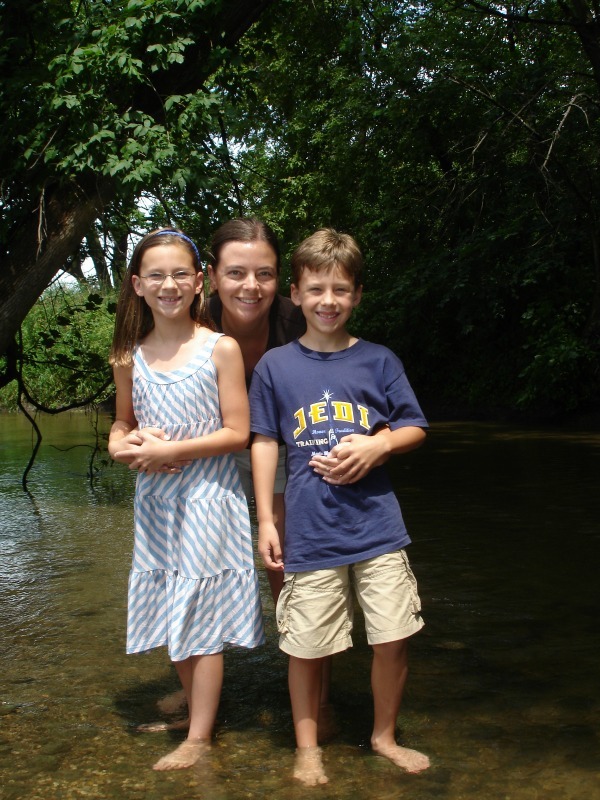 Posted on December 9, 2013 by Kelsey H.
About one month ago, my Girl Scout troop and I attended a screening of the international phenomenon Girl Rising, following the stories of nine girls from all around the world about their struggles to go to school. The movie was inspiring, and so we decided to read Nujood Ali’s true story about her bravery to escape her husband and defy the customs of her people to dive deeper into the topic of girls’ rights. At first I was hesitant to read this book because I was afraid of what she would describe. However, after finishing the book, I can say that this book took the movie to another level, and it truly is an amazing read. The story starts when Nujood is nine, and she spends the first couple chapters describing her family, community, and daily life. Then she painfully describes the day she found out she was getting married to a complete stranger. She says that her mother never spoke out against the marriage, because her mother was one of the many Yemeni women who followed tradition and orders. Nujood tells of her hopes and dreams to one day marry a sweet and nice man and live happily ever after, and how those dreams were shattered when she met and came to understand her new husband. She tells of her wedding day, and being covered with the black niqab, since married women must cover themselves whenever they leave the house. She also talks about the horrible journey from her home with her strange husband to his home far away from her family. She tells of how her husband abused her and dishonored her family’s request to respect her. Nujood really thought there was no escape, until with the help of her bravery and courage, she made it to a courthouse where she demanded a divorce. This book will fill you with such pride and contempt at the same time. Pride in Nujood for persevering, despite all the odds. Contempt for the people who ignored, or pretended they couldn’t hear. My least favorite part of the book was, of course, the abuse. However, I knew that this was a true story, and that is an essential part of her argument, so I read it with that thought in the back of my mind. My favorite part of the book is after Nujood is granted the divorce, and she goes back with her lawyer, who she respects and loves dearly, to her office. There, all of the women working threw her a “divorce party.” When they decide they will sing Happy Birthday, and Nujood confesses she doesn’t know when her birth date is, Shada, the lawyer, exclaims that from now on, that day will be her birthday. This book is truly the most inspiring story I have ever heard. I have deep admiration for Nujood and all the other girls who have the same courage as Nujood to defy their fates. I definitely recommend this book to teens and adults because it does have some adult topics, themes, and graphics. 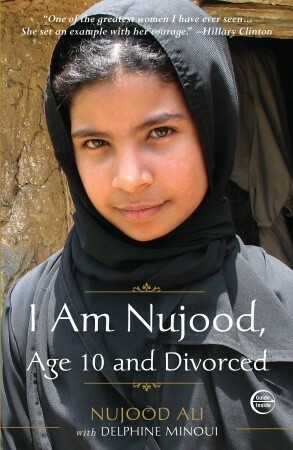 Nujood is a very brave girl, and her story deserves to be shared and cherished. 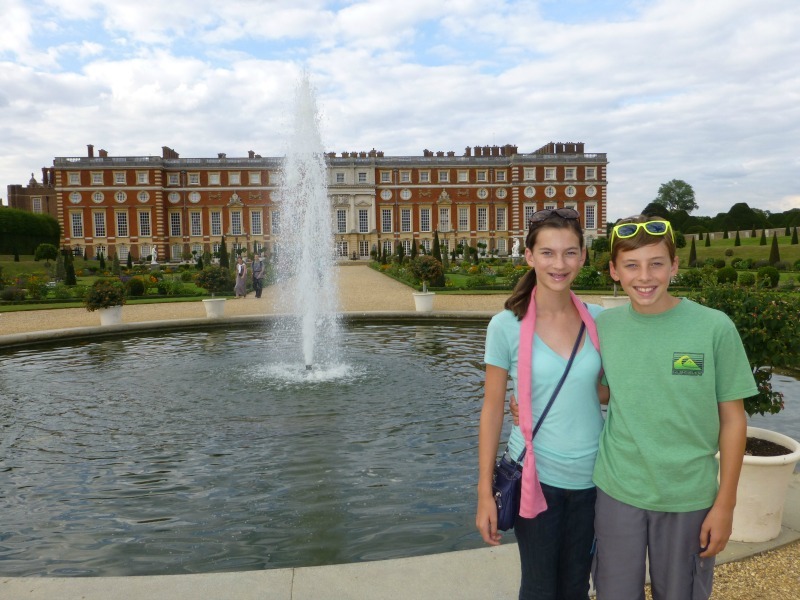 Posted on November 14, 2013 by Kelsey H.
This summer I was inspired to read a handful of books about English courts and palaces because my family went on a trip to England and Ireland. I toured the famous Hampton Court; the exact setting of this enthralling novel, and the Tower of London; the haunting location of Queen Anne of Boleyn’s execution. It was amazing to be able to visit the places described in this book! I felt like if I turned the corner into the great dining hall, I was going to walk in on a lively feast and celebration complete with dancing and music. Now, I won’t spill too many details or secrets (as there are many in this mischievous novel), but I will give you a brief summary of the novel. This story follows Lady Margaret Shelton, who suddenly finds herself in the midst of King Henry’s lively court when her cousin Anne Boleyn becomes queen. Queen Anne immediately finds Lady Margaret Shelton (Pretty Madge) to be charming and very becoming, and invites her to become her lady in waiting. The men at court become enraptured by her beauty, but none more than Sir Henry Norris who begs the king to grant her to him for marriage. However, Margaret finds Sir Norris intimidating, forceful, and cruel. And then, there’s Sir Arthur Brandon, whose comedic, mocking manner seems to irritate Margaret. That is, until Sir Brandon rescues her from a very terrible situation. Is Margaret forced to marry her reproachful betrothed? Or will Queen Anne finally convince the king to break their ties? Lady Margaret Shelton helps the queen through her shaky marriage, births, miscarriages, and even her execution. And when Queen Anne begs Margaret to do something completely horrifying and completely against Margaret’s wishes, will Margaret consent? Or will she risk committing treason against the queen? Read my new favorite novel of all time to find out what happens! I really did not have a least favorite part of the story, or a part I didn’t like. It was all amazing, thoroughly thought through, and connected! I definitely recommend this book to teenage girls who are hopeless romantics and interested in English court life. 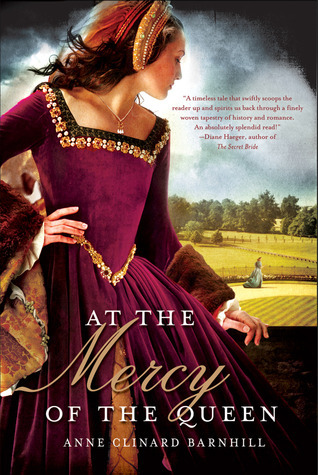 This passionate love story is sure to make you want to visit Hampton Court!